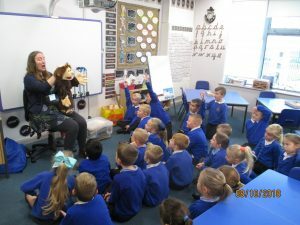 Today we were visited by Elizabeth Baker from Tillytoo Tales. 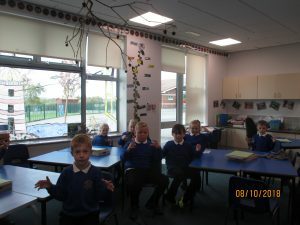 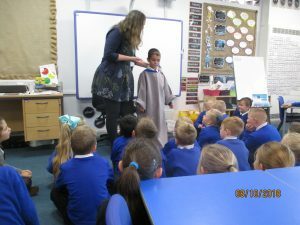 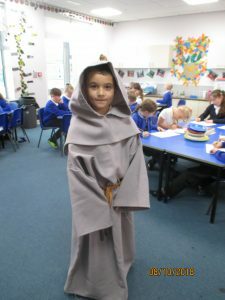 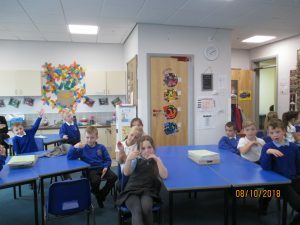 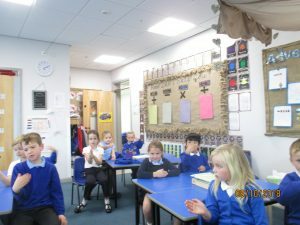 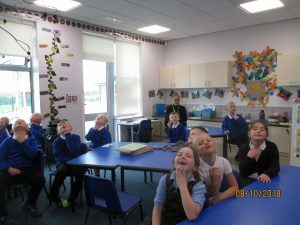 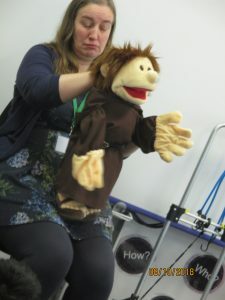 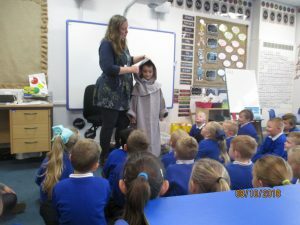 Elizabeth told us stories about the life of St Bede; where he lived, how he looked after others and what he enjoyed doing. 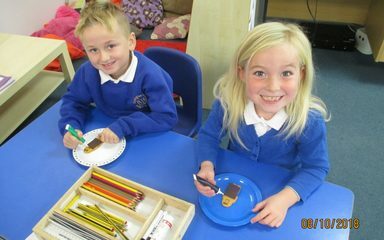 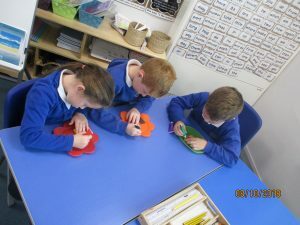 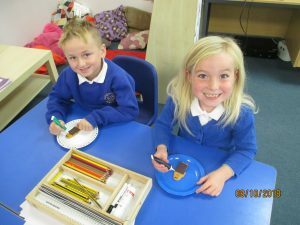 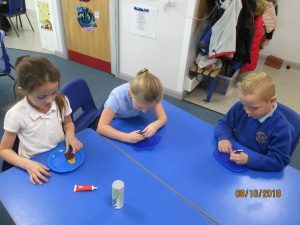 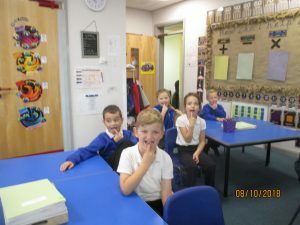 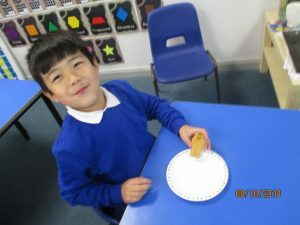 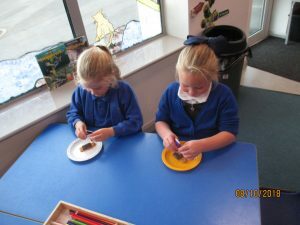 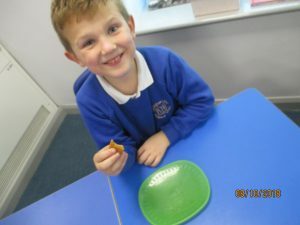 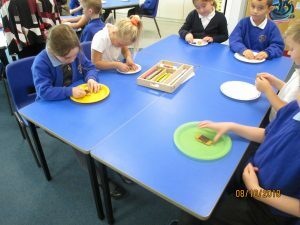 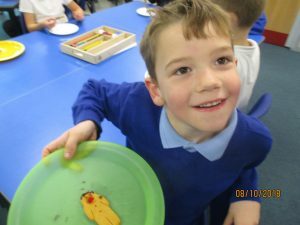 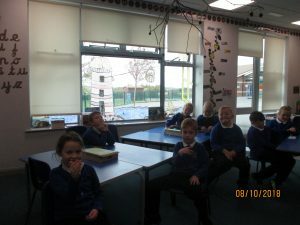 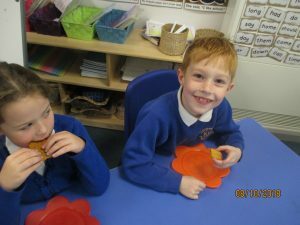 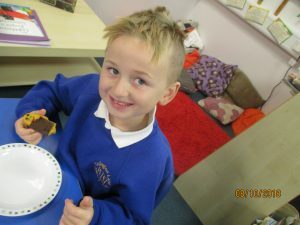 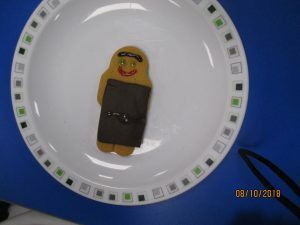 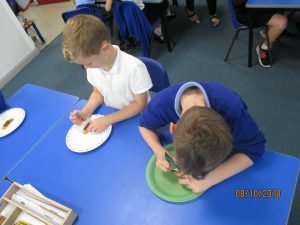 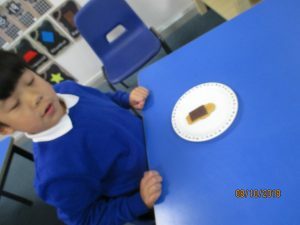 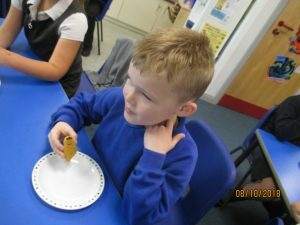 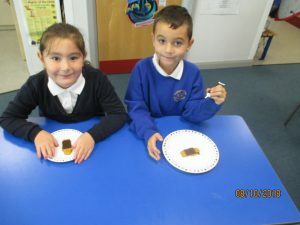 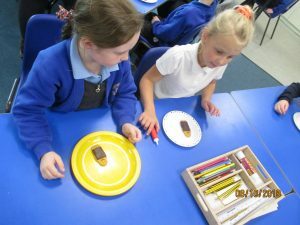 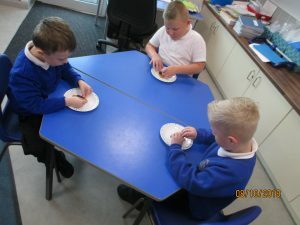 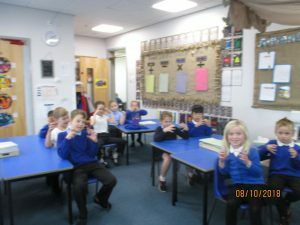 We also had fun making our own gingerbread monks which tasted delicious !